Suction filter assembly pipe - see footnote. 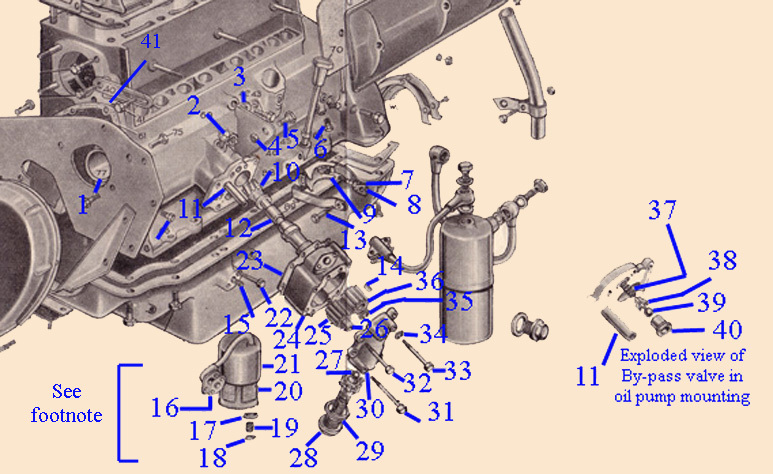 There was a substantial change in design of the Suction filter assembly commencing Engine number 17383, see Engine A4. There are also major changes to the oil pump and filter too.